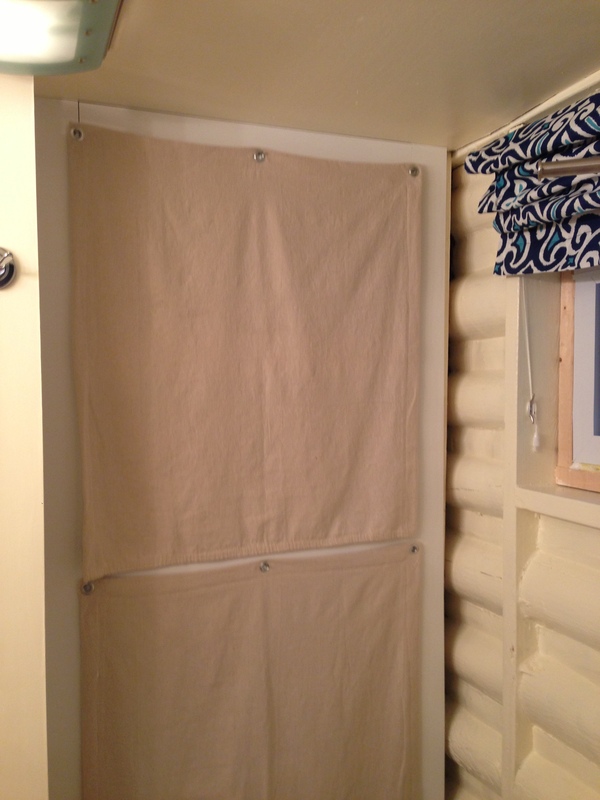 curtains for the bathroom closet … not as scary as it sounds! A few months ago, I bought a Martha Stewart magazine at the Orlando airport to read on the way home form a business trip. Now many of us feel bewildered by Martha’s projects — make a tiki torch out of clothespins! Bake a 27-layer cake in just two hours! — but as I was thumbing through the pages I found something I was interested in trying for the cabin: curtains made out of drop cloth. Martha convinced me that canvas dropcloth is cheaper than craft store fabric, heavy weight, and built to stand up to anything. Perfect for the cabin! 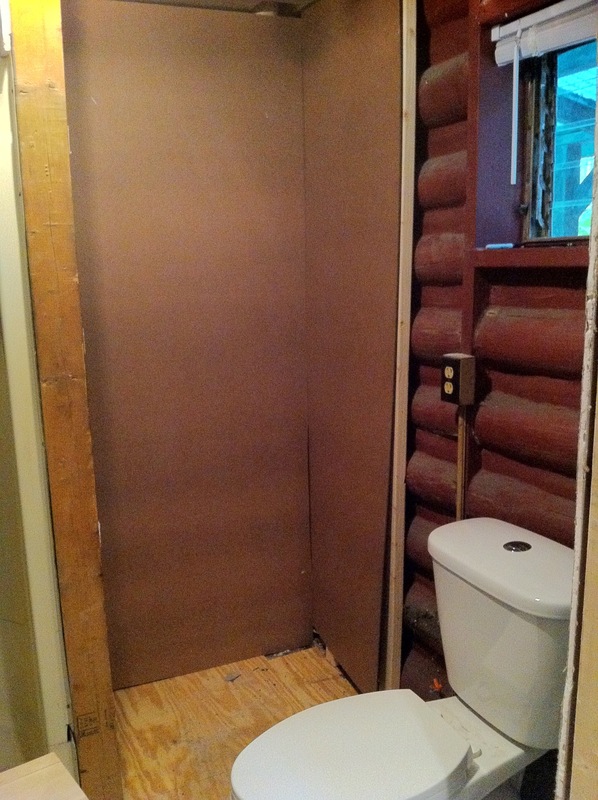 As part of the bathroom renovation, we added a closet next to the shower stall. 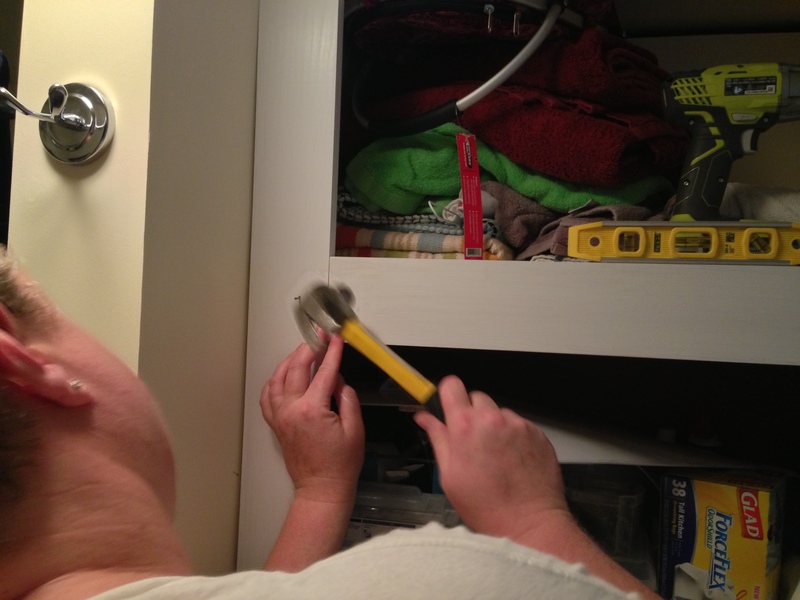 It’s pretty much our only storage area, so in addition to the usual bathroom stuff (towels and cleaning products) the closet also houses a ginormous toolbox, painting supplies, lanterns, cans of propane, and … well, you get the picture. We’ve been thrilled to have the storage but not thrilled about the constant mess in the bathroom, which is finally completed! Here are a few pics of the transformation.